Find Mount Holly, NC Homes for sale. View Photos, Maps and MLS Data Now! *Community boat dock is currently in permit pending stage. MLS#3499068. Lennar Sales Corp.
Riverfront - Owners do not carry flood insurance. MLS#3499462. Tammy Parker Realty LLC. Autumn Woods - Ask about 1st time home buyer assistance $8,000 credit! MLS#3498163. Keller Williams Realty. Located just 1.9 miles from historic downtown Mount Holly which boasts several restaurants, yoga studio, tailor, churches, coffee shop, salons and more. MLS#3498395. Weichert Realtors Sally Awad Group. Snowhill Acres - Conveniently located near HWY 16, only 20 minutes from the Charlotte/Douglas airport, Northlake Mall, and 25 minutes from uptown Charlotte. Great Mount Holly schools. MLS#3496814. RE/MAX Executive. Conveniently located to the airport, 485/I-77/I-85, & Mountain Island Lake. MLS#3497507. Keller Williams Ballantyne Area. Autumn Woods - The floor plan is available upon request. MLS#3493783. Henderson Realty. Home comes with a 30-day buyback guarantee. Terms and conditions apply. MLS#3496256. Opendoor Brokerage LLC. Only minutes to I485 for a quick drive to the airport or downtown Charlotte No Homeowners Association Dues MLS#3496486. Pam Wilkinson Realty. Property in the process of being professionally measured MLS#3497220. Paola Alban, REALTORS. Autumn Woods - Laundry room convenient to bedrooms on second floor. Low HOA's. MLS#3496822. Providence Realty Partners, LLC. Front guest bedroom has walk in closet. No Home Owner's Association! MLS#3495619. Impact Carolinas Realty LLC. Engineered hardwoods on the main floor. Will go fast! MLS#3494598. DR Horton Inc.
Riverfront - Home comes with a 30-day buyback guarantee. Terms and conditions apply. MLS#3493512. Opendoor Brokerage LLC. Ridgeview Park - This home will not last book your showing now! MLS#3493925. Better Homes and Gardens Real Estate Paracle. Close to downtown Mount Holly and an easy walk to the Mount Holly community pool (membership required), plus easy drive to Charlotte and CLT airport. MLS#3492688. Scott Farmer Properties Inc..
Dutchmans Meadow - Huge master suite and walk-in closet. MLS#3493181. Allen Tate Gastonia. Forest Hills South - Don't Miss this one - Perfect for upcoming summer fun! MLS#3491165. J Cash Real Estate. New Custom Water-View Home With No HOA - Custom Cabinets With Granite Countertops - Hardwood Flooring - Gas Logs - Two Heat Pumps - Public Boat Launch Just Down The Street - Convenient To Hwy 16 For Quick Access To Downtown Charlotte - Many New Restaurants And Amenities Coming To Nearby Riverbend Village - If You Are Looking For An Affordable Water-View Home, 307 Riverside Dinning Room. Is Just What You Are Looking For. MLS#3485387. 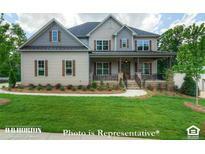 Hecht Realty, Inc.
Rhynes Trace - This home is large enough for the home office. MLS#3489601. Hanks Realty Group. Easy access to I-85, I-485, Highway 16, and US National White-water Center. MLS#3491143. Century 21 Capstone Commercial Group. This gated and fenced ranch could be a home or a has unlimited potential uses for equestrian, wedding and event venue or AirBnB. https://ridgeviewranch.info/ MLS#3492010. Ronald Scott Properties Inc.